This guide to the work of textile artist Abigail Mill features five beautiful step-by-step projects as well as themed galleries of her contemporary, ethereal artworks. 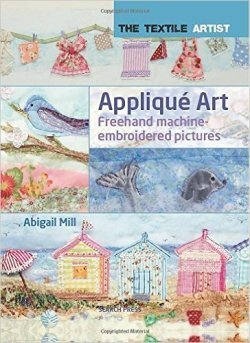 The book touches on Abigail's inspirations and influences and looks in detail at the elements that bring her work to life: colour, texture, pattern and free machine embroidery techniques. From fraying and layering to free machine embroidery and embellishment, this gorgeous book teaches the reader how to recreate Abigail's unique, contemporary style, and will inspire them to create wonderful pieces of their own.